Fortnite’s map had started to be struck with thunderous lightning strikes, leaving players speculating as to whether it would lead to any other events happening in-game. Well, they were right. 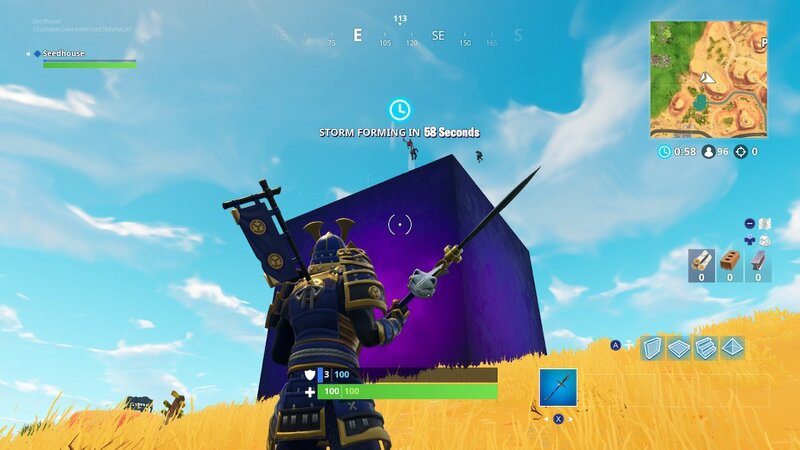 Twitch streamer Tyler “Ninja” Blevins managed to capture the moment when a cataclysmic lightning strike created a giant, interdimensional purple cube and, in the process, closed the rift that has been present in the game since Season 5 started. It’s unclear what will now happen to the cube in the coming weeks, although it is already becoming a distraction for players who have discovered that it has the same properties as a Bounce trap. We’ve had a fair number of matches now where players have dived from the Battle Bus to land on it, only to spend the next few minutes bouncing up and down. That is, until they realise that they need to eliminate their opponents to score a Victory Royale.